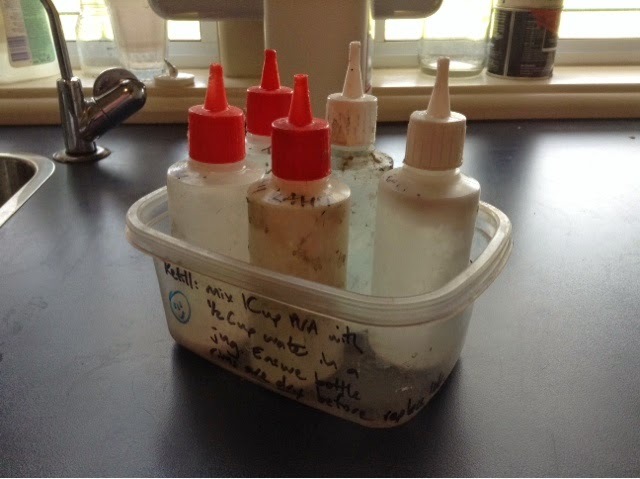 Jen's Teaching Tools: Filling the PVA bottles! 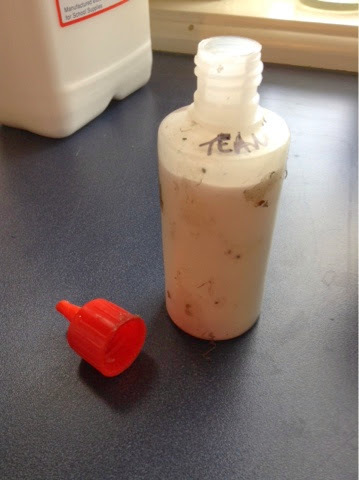 The PVA that we get is very gluggy and hard to our into the little bottles that we use in class. 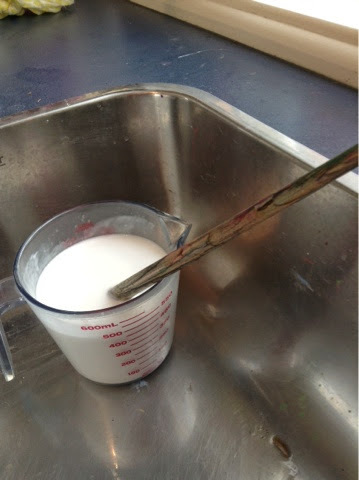 I mix the PVA with water to make it into a runnier consistency that pours more easily. 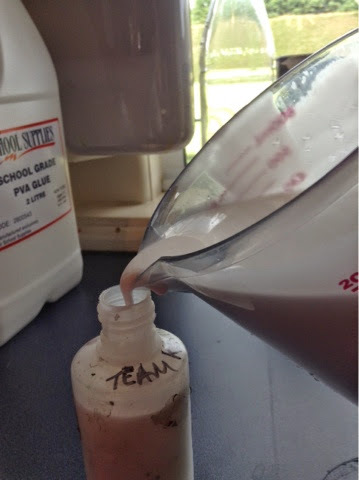 To fill 5-6 small bottles: mix 2/3 cup PVA with 1/3 cup of water in a jug with a pouring lip. After the class has used the small bottles I always give each bottle a little squeeze to puff any glue from out of the exit hole so that it is not blocked the next time somebody wishes to use it.